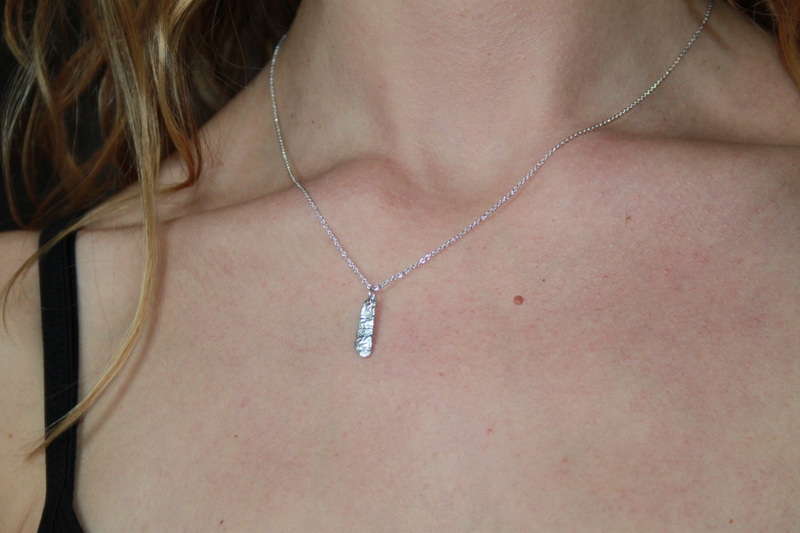 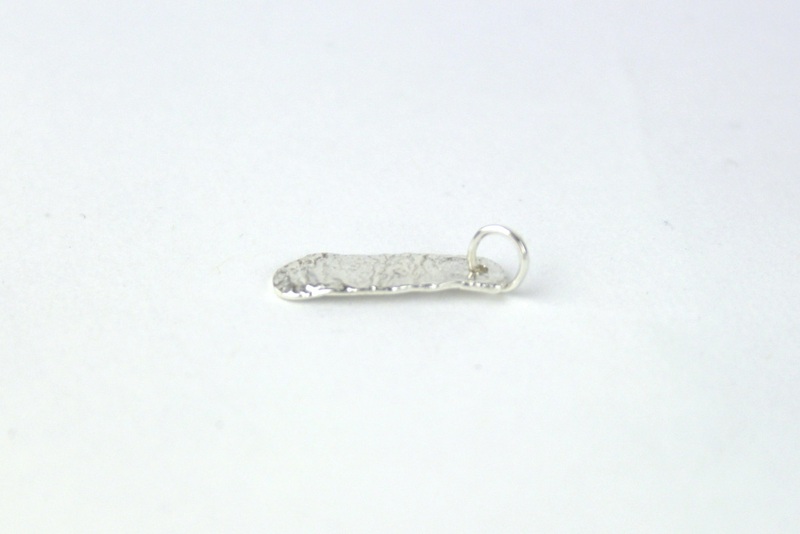 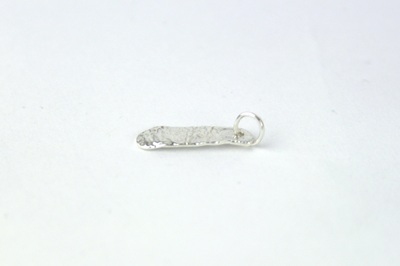 A small but eye-catching silver pendant. 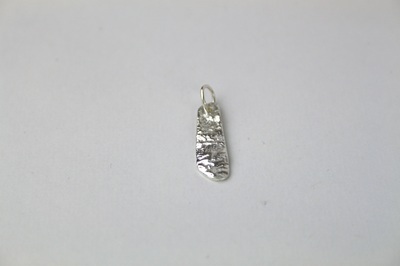 The surface of the silver has been melted to give a rippled texture making a very tactile piece of jewellery. 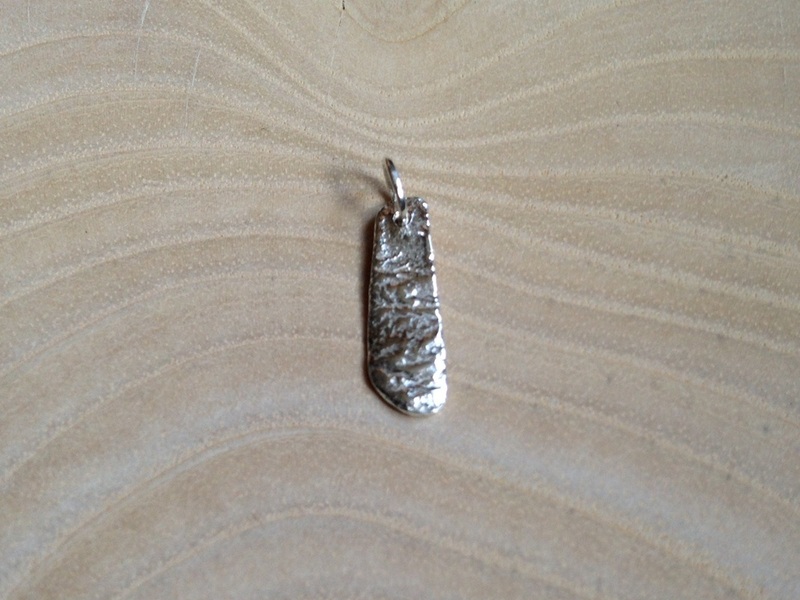 Can be bought on a solid silver necklace for £20. 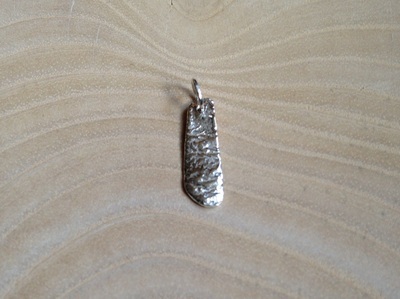 Dimensions: This pendant is 18mm x 5mm x 0.7mm. 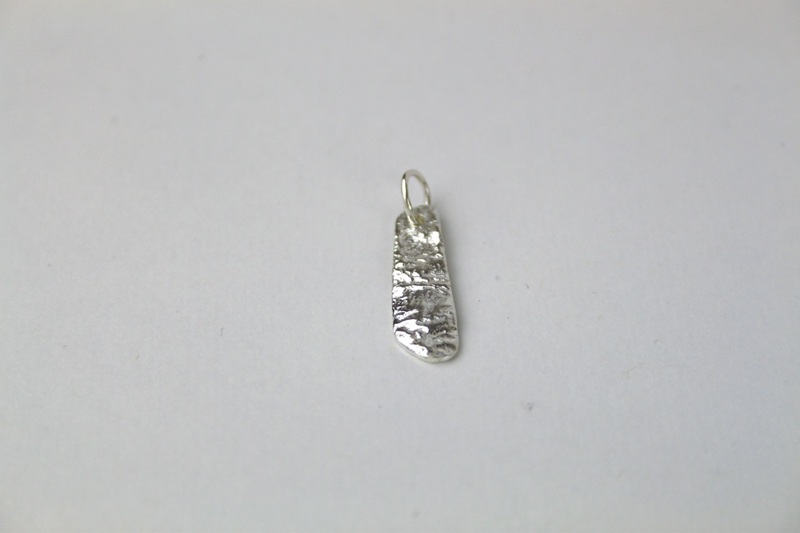 This pendant comes carefully packaged in a lovely black organza gift bag.